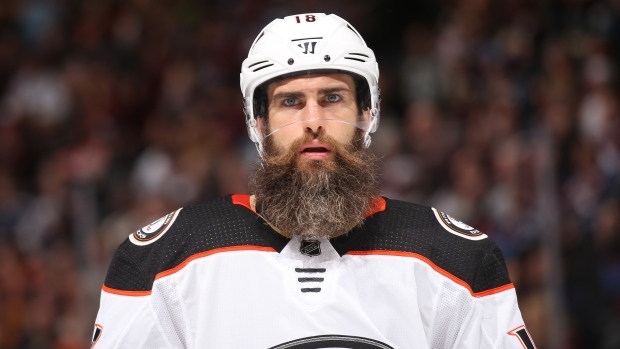 The Anaheim Ducks have placed forward Patrick Eaves on waivers. The 34-year-old has appeared in seven games this season for the Ducks and has not registered a point and has four penalty minutes and a minus-4 rating. Eaves has another year left on his deal that carries a $3.15 million cap hit. Eaves, 34, has another year on his contract next season at a $3.15-million cap hit. He only appeared in two games during the 2017-18 season after suffering through post-viral syndrome as well as a shoulder injury. Eaves made his season debut in November after recovering from off-season shoulder surgery. He was sidelined shortly after due to a fractured rib and back spasms. The Calgary native was selected 29th overall in the first round of the 2003 NHL Entry Draft by the Ottawa Senators. He spent parts of the first three seasons of his career with the Sens before being dealt to the Carolina Hurricanes. He has also appeared with the Detroit Red Wings, Nashville Predators and Dallas Stars over the course of his 633 game NHL career. Edmonton Oilers defenceman Brandon Manning cleared waivers on Tuesday, while Micheal Haley (Panthers), Michael Leighton (Canucks), and Thomas McCollum (Predators) joined Eaves on waivers.